SONGWRITING: Working on new stuff! I'm currently working on new songs and had a great studio & songwriting session today! 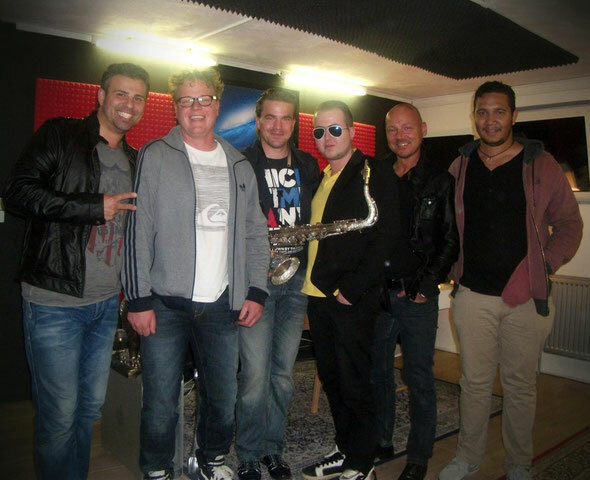 I really enjoyed working with Matthew Tasa from Frankfurt (hit composer for Xavier Naidoo, Adoro, Mehrzad Marashi …), Bernhard Wittgruber (producer, writer), Marc Tian (producer, writer), Johnny Matrix (producer, writer), Jean Sebastien Permal (A&R management). Thank you guys, it was a great pleasure for me! Saxy stuff coming up soon!